Anti-Israel campus groups have launched a campaign to defame the Jewish state and compel universities to adopt blacklists of Israel and of American companies that do business in Israel as part of a virulently anti-Semitic campaign known as Boycott, Divestment, and Sanctions, or BDS, according to sources monitoring the situation. As spring semester ramps up at most American universities, a coalition of anti-Israel activists known for denying the Holocaust and promoting anti-Semitic materials is demanding that university endowments and pension systems divest from Israel-linked U.S. companies. They accuse Israel of war crimes, and have condemned the Trump administration's recent recognition of Jerusalem as Israel's capital. President Donald Trump's announcement has roiled pro-Palestinian activists and galvanized anti-Israel agents on U.S. college campuses who are working to forward boycott measures and force their student governments to sign off on what observers have described as a series of vulgar, anti-Semitic resolutions. The effort, which comes ahead of International Holocaust Remembrance Day, is being spearheaded by Students for Justice in Palestine, or SJP, an anti-Israel student organization that has emerged as one of the most prominent promoters of anti-Semitic materials and other efforts targeting Jewish students. This semester's efforts at Ohio State University and the University of South Florida, which follow a recent campaign at the University of Michigan, have been punctuated by anti-Semitic rhetoric and efforts to suppress the voices of pro-Israel backers, according to organizations working on the issue. At Ohio State, SJP successfully rammed through an anti-Israel measure in the student government late Wednesday night by using a secret ballot in order to shield the resolution's supporters from public criticism. The contested vote approving the anti-Israel measure was "plagued by hateful anti-Semitic rhetoric," according to the Israel on Campus Coalition, or ICC, which works to counter anti-Israel activity on college campuses. "Tonight, after five failed attempts over the past four years, Students for Justice in Palestine pushed an anti-Israel boycott resolution through the undergraduate student government of the Ohio State University," said Jacob Baime, ICC's executive director. "At the end of an hours-long meeting plagued by hateful anti-Semitic rhetoric, the BDS resolution was adopted when the student government broke its own rules, opting to vote by a highly irregular, opaque, and undemocratic process." Baime further claimed the vote was rife with irregularities, another hallmark of SJP's national campaign to undermine Israel. "The undergraduate student government's secret and dishonest voting procedure—conducted after midnight in violation of the rules—dishonors the 38 students who spoke in opposition to the resolution and the 8 students who spoke in favor of the measure," Baime said. "All OSU students deserve transparency and accountability from their elected officials, particularly when it comes to controversial international political issues. We need more cooperation and conversation, not less. We need real solutions for lasting peace, not more of the same divisive rhetoric. 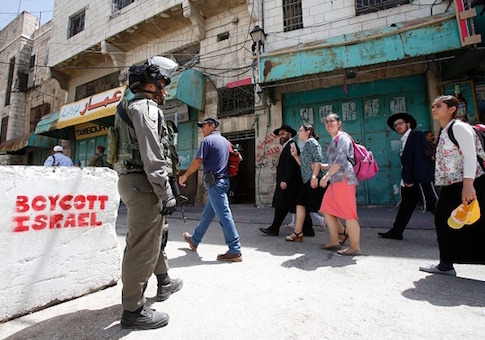 Boycotts divide people, and that's part of the problem, not the solution." At the University of South Florida, an anti-Israel resolution condemning U.S. recognition of Jerusalem as Israel’s capital narrowly failed to garner approval this week after a contested debate. USF students who promoted the SJP resolution were recently exposed as 9/11 Truthers, according to past social media posts. Amani Taha, the senate president, tweeted in 2016 that the September 11th attacks were "done by Bush." 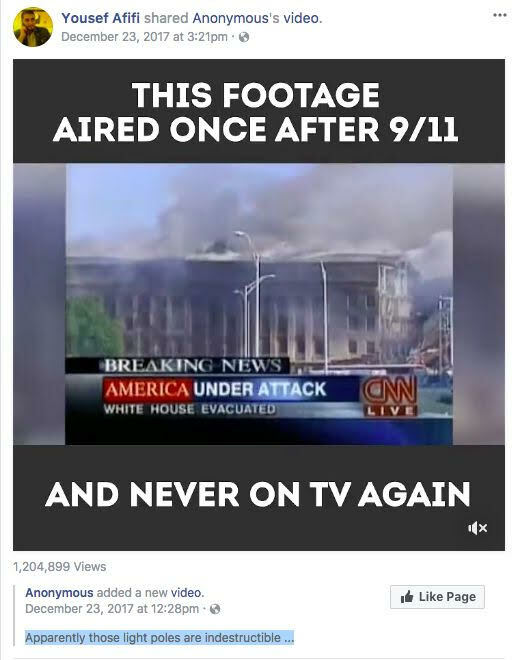 Yousef Afifi, a student senator, shared a 9/11 "Truther" meme on Facebook last month contesting the cause of the attack at the Pentagon and asserting sarcastically, "Apparently those light poles [in the Pentagon parking lot] are indestructible." The efforts have placed a renewed spotlight on SJP and its increasingly anti-Semitic rhetoric on campuses across the nation. At least 29 students affiliated with SJP have reportedly mocked the Holocaust, wished death on Jewish people, and praised Hitler, according to a new report from the Canary Mission, an advocacy organization that documents anti-Israel and anti-Semitic rhetoric on campus. As SJP continues to galvanize students in favor of radical, anti-Israel activities on campus, Canary Mission found that multiple chapters of the organization have worked to defame the Holocaust and disrupt Holocaust memorials on campus. SJP also has been found to compare Jews to Nazis on various social media platforms, according to the report. "Jews, you need to stop complaining about the holocaust. Think about all of the money you saved by only needing one-way train tickets," SJP member Abdallah Ismail reportedly tweeted, according to the group's website. "Everytime I read about Hitler, I fall in love all over again," Rawan Qaddoura, another SJP member, is documented to have written. Canary Mission has documented other examples of such rhetoric from SJP members on its website.